Aloha Checkers! The whole crew is here for a brand new show. Back from a trip to Hawaii, Darren discusses how the islands that make up the State came to be. 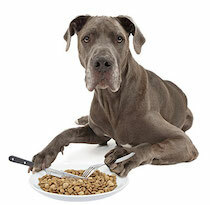 Cristina, once again, looks into the question: are euthanasia drugs showing up in dog food? Lastly, Adam looks into some recent headlines claiming that Amelia Earhart’s bones have been found. Euthanasia Drugs In Dog Food?